...However, be aware that the conversion isn’t quite as simple as swapping the parts. You’ll need to cut and re-weld the radiator support too. Who needs air-con with Recaro seats like these? 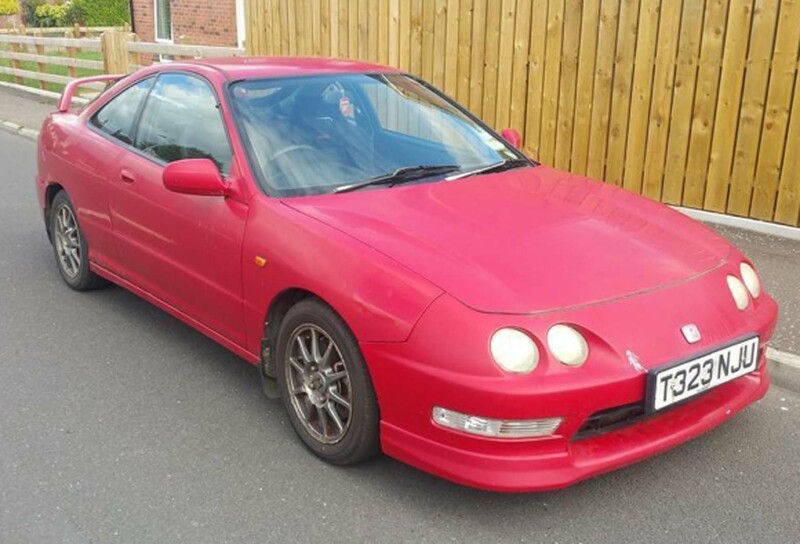 Just four years ago, you could pick up a good Honda Integra Type R DC2 for around £4500. Then, your money bought a 1997 R-reg car with 100,000 miles and three previous owners. In standard, rust-free condition, with a full Honda service history including the vital cambelt change at 60,000 miles, and a thorough undersealing in 2011, it’d have made a great buy for someone. Spring forward to today and, assuming the service history has been kept up, the temptation to modify it has been resisted, rust has been kept at bay and it has put on only around 10,000 miles, the same car could be worth about £8500. Not a bad return but to be expected when a car is this good and this sought after. 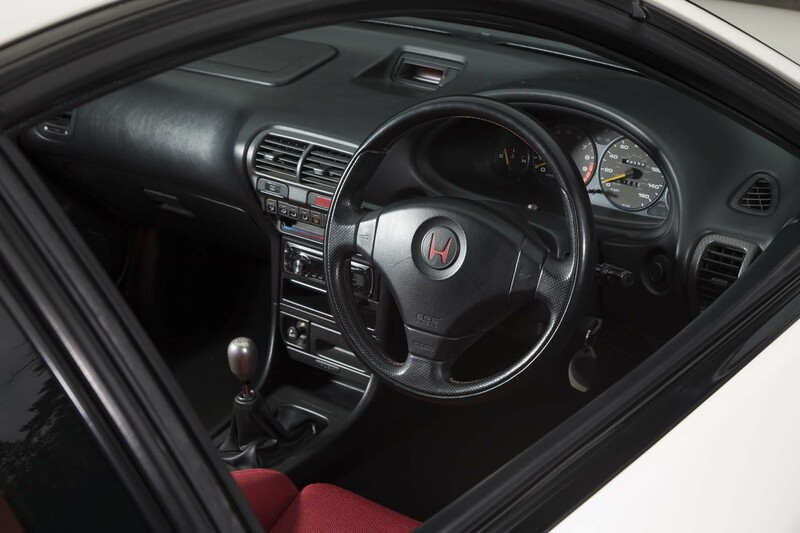 The Integra Type R arrived in UK showrooms in 1997. Actually, most were forward sold on the back of glowing reviews in Japan, where it had been on sale since 1995, so few ever saw the polished glass and potted palms. Those first owners raved about the handling of the front-wheel-drive car, an experience that turned the old front-versus rear-drive debate on its head. Geekier types purred about its additional spot welds and thicker sheet metal, thicker anti-roll bars, aluminium strut braces, slimmer and lighter windscreen, lightened wheels and minimal sound deadening, all of it true to Honda’s Type R ethos. Images of white-coated Honda engineers painstakingly assembling the car’s variable-cam 1.8-litre engine, with its polished ports, featherlight conrods, beefier pistons, bespoke inlet valves and enlarged throttle body, swirled around their heads. If anyone doubted their sanity, 187bhp at 8000rpm, equivalent to 104bhp per litre, shut them up. Because it’s a VTEC engine, it all happens north of 6500rpm, so choose your gear (there are five), give the accelerator a hefty prod and let the fun begin, confident that, thanks to a torque-sensitive helical limited-slip differential, the steering wheel won’t snap your wrists. 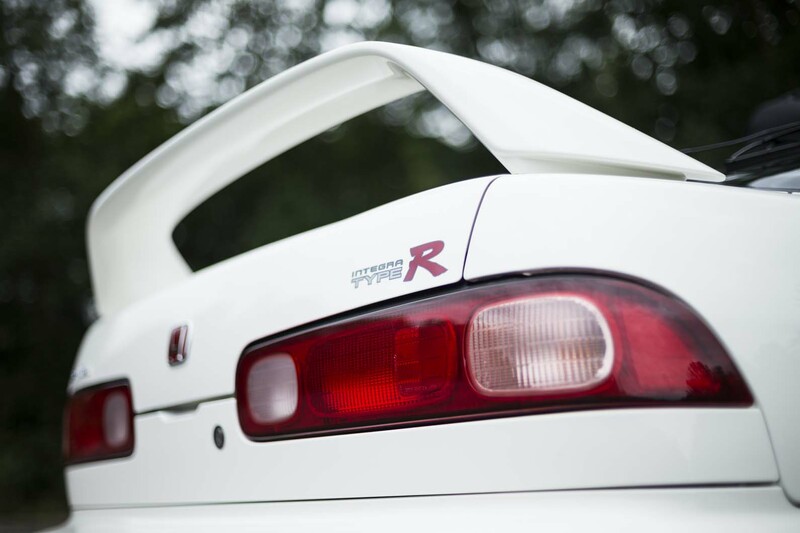 Being a purist’s car, the Integra Type R features few fripperies. Even air-con was optional. Instead, only those things that heightened the experience were permitted, such as figure-hugging Recaros (with holes for the seatbelt harness), a chin spoiler and a rear wing. Red badging signalled its racing DNA while the first UK cars were available only in Championship White in honour of Honda’s first grand prix-winning car (Mexico 1965, if you’re interested). 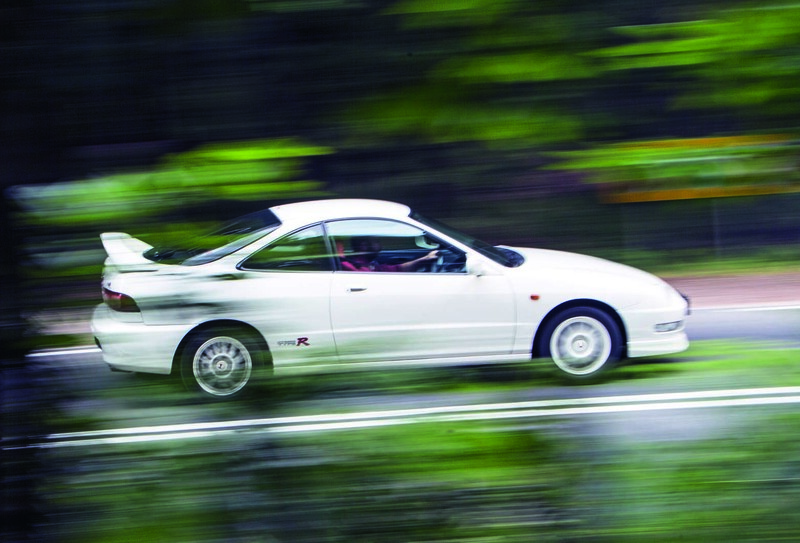 The youngest Integra Type Rs are 17 years old now (the model went off sale in 2001, although mechanically identical Japanese domestic market, or JDM, grey imports built from 1996 to 1998 continued to arrive). Although the engines have proved to be tough and reliable, you should expect to see some body corrosion on sills and wheel arches. Genuine enthusiasts make sure undersealing is kept up and road salt washed off. Find a good one, treasure it and see what the next four years bring. ENGINE: The engine uses a little oil so dip it to check the correct level has been maintained. Oil changes are recommended every 6000 miles, the cambelt every 60,000 and coolant every three years. Be wary of inexpert aftermarket mods. Rattling or buzzing when you blip the throttle is likely to be a loose exhaust shield. GEARBOX: A worn clutch will mean the gearbox struggles to cope at high revs. Check for oil leaks from the slave cylinder. Feel for any drag and listen for worn second- and third-gear synchros. Changes may feel notchy too. 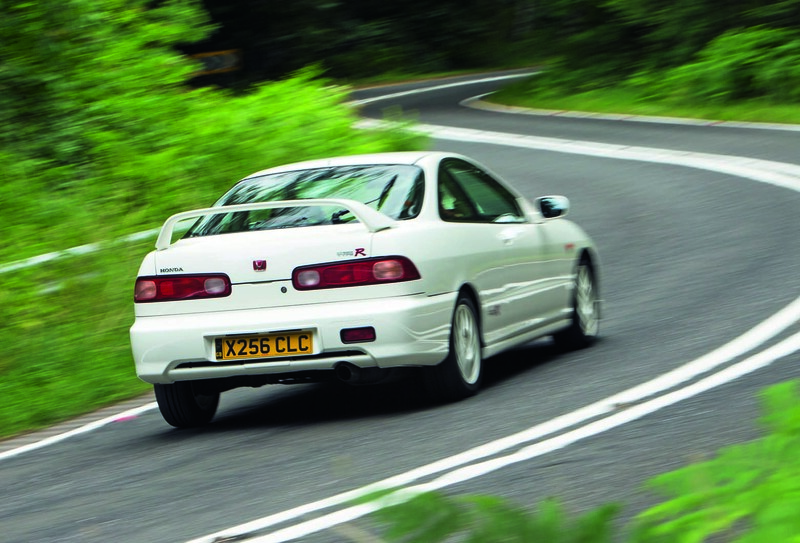 BRAKES AND SUSPENSION: Expect high-milers to have lost their sharpness, but the Integra’s lightness and reasonably large discs mean the brakes withstand punishment well. BODY: Check panel fit and finish, and for signs of cheap repairs. Rare is the Integra that doesn’t show signs of tin worm, especially around the rear wheel arches and the underside. A fresh MOT indicates it’s not structural – yet. Check the boot floor isn’t swimming with water. (It comes in via perished seals on the rear lights.) Ensure the thin windscreen glass isn’t chipped. INTERIOR: Expect the steering wheel to be shiny and the prominent driver’s seat side bolsters to have lost their embrace. Ensure the car has the red master key as a replacement won’t be cheap. Chris Marshall at Auto Torque says a thorough underbody inspection is essential before buying any Integra: “Ironically, old anti-rust treatment can trap water and allow rot to set in. Prod away with a screwdriver to check all’s well.” After you’ve bought the car, consider restoring the suspension with polybushes and Bilstein B6 shocks. £3000-£3995 - Cheapest early DC2s with well over 100k miles but not all of them bangers. £4000-£5495 - Heavily modified cars trading on power but posing more questions than answers. £7000-£8995 - Some expertly modified DC2s but few of them the real deal. HONDA INTEGRA TYPE R DC2, 1999/W, 130K MILES, £3300: Only two former keepers and with some service history, this totally standard, private-sale Type R won’t hang around. You can see some bad rust bubbling on the sills and arches but fingers crossed it’s not structural. Sort it, run it on dry days and watch its value rise. Great car though the Integra Type-R was, the fact is that the youngest examples are 18 years old and command prices around £10k. So why not buy a Toyota GT86 instead? You'd end up with a car of similar size, weight, power and torque, but much newer, with rwd, an extra gear and more practicality to boot. And the 86 has depreciation left. If you're not going to use it as a daily driver, the Integra will be just fine and you won't lose money on it. As for practicality, the Integra is a hatchback that can carry a fridge if needed. The 86 isn't. £3,300 for a car with "bad rust bubbling on the sills and arches". Guys that rust will only get worse unless you've a spare garage to keep it in over winter, but then it is not a usuable classic. Whatever the price goes up by you would have spend on repairs, MOT, Insurance, getting unobtainable parts made up etc. With cheap, usuable, fun classics at best you don't break down and end up getting MOST of your money back after 3 years. "Guys that rust..."...oh dear, poor them. Do you actually mean, "Guys, that rust...?. Many useable classics are run in the spring/summer weather...what do you know of running a real car, when all you steer is a decrepit sofa?. Get up, get a job and make a contribution, for once in your life. TwIT, the w is silent, as you should be.